Advocacy is also part of the work that PFLAG members and supporters do, working to achieve LGBTQIA equality by changing hearts and minds. We also advocate for equality legislation at a local, state and federal level. 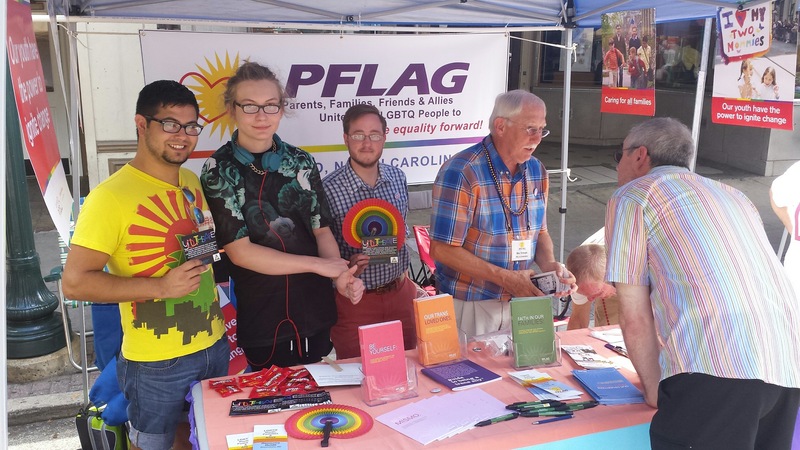 PFLAG Greensboro is always looking for allies in the movement for equality. Interested in volunteering with us or in coordinating actions? Contact us at info@pflaggreensboro.org or (336) 541-6754. Looking for additional information & where PFLAG stands on the issues? Check out PFLAG National's site on Where We Stand.